Developed by players for the players ... 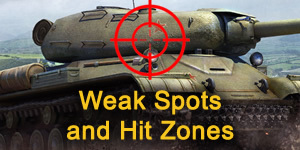 The only site where you can compare up to 3 tanks tanks with their console packages, effective armor angles, and weak spots & hit zones all on the one page. Now includes the capability to modify and compare camouflage values. Details are extensive and include stats such as Costs, Crew, Premium Bonuses, Reload Rate, and Damage Per Minute (DPM). Flick between the packages and compare the actual tank stats in colour. 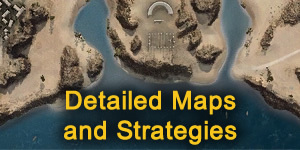 Players will find lots of useful detailed information on maps, tactics, angling your armor, flanking techniques, different roles players can play, weak spots & hit zones, game types, gun types, tank ammunition types, using cover effectively, and spotting techniques all with detailed images. The Tank Items page has detailed information on all skills, perks, tank paint camouflage, tank equipment, and tank consumables. For those who really love the game then be sure to checkout the artwork for detailed images of your favourite tanks. We are always looking for new features and functions so drop us a line and we'll add it to the list of potential site enhancements. Four new premium tanks hit the game, the LT-432, Vanguard ELC, Thunderbolt, and Progetto M46. Keep a low profile with the LT-432, a fast-firing Soviet soldier that handles like a dream! With strong stealth values, it can stay hidden until it's ready to pounce, while its high damage per minute potential makes it a great aggressive option too. The Vanguard ELC EVEN 90 is a small and stealthy scout! With great mobility and a small frame, this tiny terror is a hard target to hit, and can dodge and weave its way out of trouble with ease. The Progetto is equipped with a 90mm auto-reloading gun, which can hold multiple shells that reload automatically. Once a shell is loaded, it can be fired without needing to wait for all rounds in the clip to be loaded. This allows for single fire or burst fire, and flexible firepower depending on what the combat situation calls for. The Thunderbolt comes with excellent defensive properties for a Medium Tank, and can reliably endure and ricochet incoming rounds.Compare them in detail in the Tank Profiler. The full Italian Tech Tree has finally been introduced to the game. The line is primarily made up of medium tanks with a few light tanks. From tiers 8 to 10, players get to play the new gun type called the Auto-Reloader which allows for shells to continually reload during gameplay. Also introduced is the new USA Rover light tank, a tank designed for lunar operations but available for general games on earth. Compare them in detail in the Tank Profiler. World of Tanks: Mercenaries welcomes a new French tank to the ranks of the Heavy Metal Heroes: the HMH AMX Modèle 58. A variant of the AMX 13 with improved firepower. A perfect combination of stealth and firepower allows this light tank to excel in both active and passive roles on the battlefield. Equipped with a powerful 105mm three-round auto-loader, when the HMH AMX Modèle 58 hits, it hits really hard. The HMH AMX Modèle 58's great mobility allows it to easily traverse the battlefield and perform a variety of maneuvers with ease, such as the 'circle of death'. Compare it in detail in the Tank Profiler. 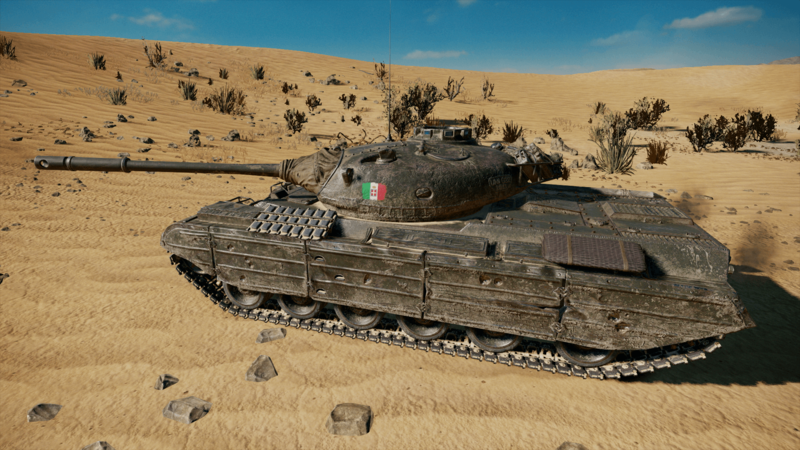 It's time to wish a warm benvenuto to the wonderful Ariete Progetto, the very first Premium Italian vehicle to hit the battlefield in World of Tanks: Mercenaries! It's fitted with a 90mm auto-reloading gun, which can hold multiple shells that reload automatically. Unlike existing auto-loaders, once a shell is loaded, it can be fired without needing to wait for all rounds in the clip to be loaded! This allows for single fire or burst fire, and flexible firepower depending on what the combat situation calls for. Italy's foray into tank engineering during World War II focused on protection and firepower, with post-war vehicles also featuring auto-reloading guns, good mobility, and great gun handling. The Ariete Progetto is an excellent mobile vehicle, which combined with its unique gun, makes it an effective flanker. Compare it in detail in the Tank Profiler. The T-VI-100 previously existed only in blueprints, which plotted the unrealized potential of this intriguing German-Soviet hybrid. Now it’s been brought to life, and you can try it for yourself in World of Tanks: Mercenaries! The T-VI-100 was a real USSR project that intended to transform a captured German Tiger vehicle. It’s a Tiger at heart, but it’s burning with Soviet firepower! The T-VI-100 project would have seen one of these Tigers fitted with a Soviet weapon in place of the Tiger's 88mm gun. The D-10 gun, a 100mm weapon that fronted the Soviets' SU-100 tank destroyers, would have made the tank a frightful combatant against German vehicles. 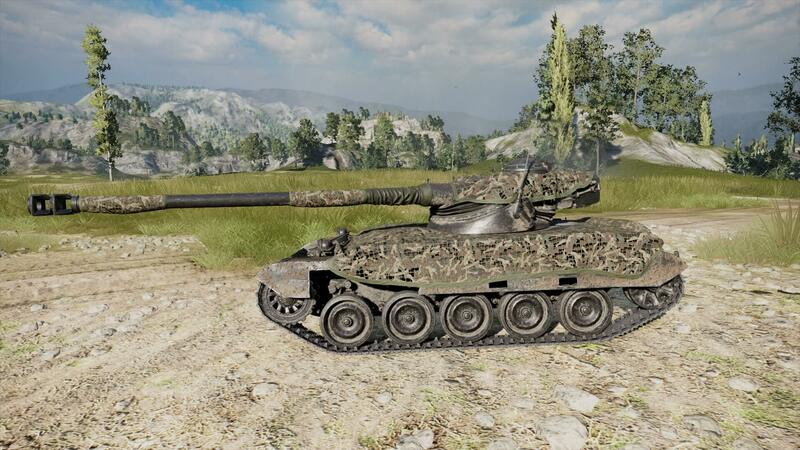 The project was ended in 1945, and although never officially realized, the potential and potency of this German-Soviet hybrid can be seen in the T-VI-100 available in World of Tanks: Mercenaries. Compare it in detail in the Tank Profiler. The hot metal action of World of Tanks: Mercenaries is getting cranked all the way up to 11 with the launch of Core Breach, a new mode that’s bringing all-out Mech action to the battlefield! Matches played in Core Breach Mode are 4 versus 4 team destruction battles, where you must work together with your teammates to bring down the enemy Mechs. Battles last for eight minutes, and victory is awarded to the team which has destroyed the most Mechs (or caused the most damage in case of a tie). Mechs can respawn, so you'll always have unlimited Mech fodder in your crosshairs! When the event is active, select ‘Core Breach’ from the main menu, then choose either the US Iron Soldier or the USSR Steel Comrade to begin a battle. Both Mechs are equipped with machine guns, lasers, and missiles. Review the mechs in more detail at World of Tanks Mercenaries. Strike and pierce with a tough new Premium vehicle: the Javelin. The Javelin features top-notch protection, with welded-on spaced armor plating enhancing the defensive qualities of its turret and hull. Its small silhouette allows the Javelin to effectively blend into its surroundings for stealthy progress across the battlefield. Add Sniper skills, perks, and equipment for even more effectiveness. This Tank Destroyer's gun handling allows for quick and accurate engagement of the enemy. Shoot 'em down in the blink of an eye! Compare it in detail in the Tank Profiler. The Iron Rain Rhm.-Borsig Waffentrager is a striking new Premium Tank Destroyer hailing from Germany. This tank's three-round autoloading gun packs a massive amount of damage into a single clip. Your enemies would flee at the sight of the Iron Rain Borsig, if they could detect it! The Iron Rain Borsig's excellent concealment ratings allow it to stay hidden, making it the perfect tank to ambush or snipe unsuspecting enemies. Brains, brawn, and beauty! Watch this badass vehicle roll across the battlefield as it effortlessly takes out enemies in style. Compare it in detail in the Tank Profiler. This American Heavy Tank can deal catastrophic amounts of damage thanks to its amazing three-round autoloader. Combining excellent gun depression with a powerful 105mm three-round autoloader, the T32-A Proto is capable of dealing massive amounts of damage with a single clip. Its 2.5-second intra-clip reload time won't give your enemies time to breathe before you're dishing out punishment again. This tank has a Free XP Bonus earn rate of 10%, making it the highest Free XP earner per battle in the entire game! The T32-A Proto’s variability in battle and its great mobility give it an extra edge while moving across difficult terrains. Compare it in detail in the Tank Profiler. The Brick, captained by the ghastly Accursed Sandman, is the latest Premium Mercenary tank to hit the game. The Brick's quick-firing gun can deliver sustained fire to enemy forces, slowing or halting their advancement! With armor enhanced by a layer of solid brick, it'll take more than huffing and puffing to blow this tank down! The Brick has great Silver earning potential thanks to high Silver bonuses and inexpensive ammunition! Also joining the game is the new Polish nation tech tree with over 15 new tanks across the light, medium, and heavy tank classes. Compare them in detail in the Tank Profiler. A new French destroyer has landed ... The Audace Canon d'assaut de 105! With a high top speed of 55 km/h, you can easily get into a firing position, and make a quick escape if necessary. Its streamlined profile makes it a stealthy combatant. With great concealment values, it can stay hidden from enemies if it effectively uses its environment to its advantage. Swift aiming time means it can zero in on enemies and deliver a devastating 390 damage payload in the blink of an eye thanks to high shell velocity! Compare it in detail in the Tank Profiler. Introducing a fearsome trio of new Mercenaries tanks and commanders created in partnership with ARTtitude by legendary comic book artist Brett Parson, renowned for his work on the Tank Girl and New Romancer series! Get to know the Outcasts: Banana Buster (helmed by 40 Watt Club), Beach Party (crewed by Battalion 23), and T.A.N.K. (captained by The Buck). The Banana Buster is a deliberate brawler, with excellent armor protecting it as it wrecks enemy defenses. 40 Watt Club is a former French Resistance fighter who took a decidedly sadistic approach to hunting and dispatching the surviving members of German high command in the aftermath of World War II. Beach Party is the resilient hybrid of three nations’ tank parts fronted with a magnificently powerful weapon. It's captained by Battalion 23, an American soldier stranded in the forests of Yanbaru who managed to survive for years after World War II ended, honing a swift and agile fighting style as he continued to wage a war that had already ended. Smooth Ride and Eagle Eye skills give him improved accuracy on the move and the ability to identify critically damaged modules on targeted enemy vehicles! T.A.N.K. has surprisingly excellent speed and agility, making it a formidable foe in close-range combat. The Buck is its master, a vindictive and cruel war criminal who operates a nefarious network of Mercenaries who sweep across Europe like a plague of locusts. Paratrooper and Camouflage skills massively reduce falling damage and reduce vehicle visibility in combat. Compare them in detail in the Tank Profiler. Absolution is a brand new Premium Mercenary vehicle crewed by men who fight for honor, righteousness, and a better tomorrow. Answer the call of duty and join forces with Lieutenant Callahan and his team for a limited time only! Callahan has years of military service under his belt, and despite many victories, he has also paid the price of sacrifice. His team values his wisdom and experience and would follow him to the end of the line. The battle experience of Callahan and his crew makes the Absolution both a deadly weapon and an effective shield. Use his special skill, Controlled Impact, to decrease ramming damage to the Absolution, while increasing ramming damage inflicted on enemy vehicles. The solid steel railroad tracks attached to the hull and turret coupled with additional spaced armor plating can severely disrupt incoming enemy rounds. The Absolution is armed with an outstanding weapon, the German Waffe 7.5cm cannon. Use its explosive capabilities to not only fight the battle but win the war. Compare the Absolution in detail in the Tank Profiler. Two new Polish premiums are now available, the Wojtek and the 50TP prototyp! The Wojtek is accompanied by a truly badass crew, Wojtek the Bear, who growls as your gun is reloading. Wojtek is based on the remarkable true story of a ferocious bear soldier that fought alongside his Polish brothers during World War II. The Wojtek features a reliable gun and great mobility, allowing you to navigate the battlefield and engage the enemy in any combat scenario. On the other hand the 50TP prototyp boasts a truly formidable 122mm gun capable of massive damage output. With an average of 440 damage, it has one of the hardest hitting guns of its tier. Make use of its well-sloped frontal hull armor to get up close and personal with the enemy, or utilize its angling to reliably ricochet rounds. The hull's shape allows for up to 10 degrees of gun depression, making it difficult for enemies to return fire depending on its positioning! Compare the new Polish tanks in detail in the Tank Profiler. A number of new higher tier Russian tanks join the game along with several new Mercenary tanks. New game features have also been introduced and a heap more of tank balances to packages, all part of Update 4.7. The Sacred Valley map also re-joined the map rotation. Compare all the new Russian and Mercenary tanks in detail in the Tank Profiler. It's that time of the year again when the monster tanks come alive with special powers on October 26. Two new Halloween Monster tanks join the game, the Bog Horror: Creature From The Dark Platoon, and the Wraith Panzer 58: Harbinger of Death. Both tanks are quite impressive so check out the store bundles now. To celebrate Halloween as well there are a number of new special operations including the chance to score free Monster tanks. Compare all the Monster tanks in detail in the Tank Profiler. Add some Turtle power to your Garage! This new Mercenary tank is one of a kind and has every skill you need to be a lean, mean tanking machine. The Turtle is equipped with a devastatingly powerful 122mm howitzer gun, which is potent enough to put a hole in the strongest opponents! Use the Turtle's tactical mobility to get behind the enemy, strike their rear with a large HE round, and then get back to safety before they can hit you back! New crew ... Cunning Ocelot; is a Soviet Mercenary who was forced to survive alone after infiltrating a German spy network and outing one of their most notorious operatives. He comes with the Designated Target and Green Thumb skills, which makes targeted enemies visible for longer, and increase the effectiveness of his tank's camo while hidden in foliage! Compare the Turtle in detail in the Tank Profiler. Roll out with the Boulder, and crush your enemies with its Mercenary might! This rock-hard new vehicle combines Swedish firepower with tough British armor. The Boulder has spaced hull and turret armor, which compliments its already tough exterior! With excellent gun depression, the Boulder can effortlessly traverse ridge lines to rain hell while leaving very little of itself exposed to enemy fire. New crew ... Reaver Omega is a French Mercenary who stood against hundreds of German soldiers for weeks to save his town. He's equipped with the Mentor and Sixth Sense skills, which give a 10% Crew XP boost and alerts him when the Boulder has been detected by an enemy! Compare it in detail in the Tank Profiler. Inspired by the remote settlements where the ninja resided in feudal Japan, the Hidden Village is a blissful hideaway situated in a Japanese mountain range. Don't spend too long admiring the elegant architecture and beautiful cherry blossom though, because shells will soon be flying! Plays tiers 5+; Size 1000m x 1000m; Game Modes are Standard, Encounter, and Team Destruction. Check it out in detail in the Maps page. It's wild and brutal, and it's ready to fight for you. The Bear KV-122 is the newest Premium tank to join the game, and it brings an animalistic predator instinct to every war it wages. The Bear KV-122 comes equipped with a powerful 122mm gun, tough enough to rip through anyone who stands in your way. Excellent top speed and traverse values allow the Bear to outmaneuver enemies and seize positions and advantage. Check it out and compare it in detail in the Tank Profiler. Also joining the game is Turán III Prototípus, a highly versatile tank with high DPM and good gun depression. The Trinity Mk II makes history as the first Premium Mercenary vehicle to join World of Tanks: Mercenaries! Unite the powers and engineering prowess of three mighty nations, and take this armored annihilator for a fiery ride through the battlefield. The Trinity Mk II is heavily protected by make-shift armor. The turret has thick, angled armor that provides excellent defense against incoming fire. With a triple layer of outstanding spaced armor, Trinity Mk II is one of the most well-armored Medium Tanks in the game. New Crew ... Sonic Valkyrie is an Italian freedom fighter famous for helping Allied soldiers trapped behind enemy lines. She comes with the Track Mechanic and Pain Tolerance skills, giving her faster track repair times and a lower chance of critical damage for Trinity Mk II's Crew members! Compare it in detail in the Tank Profiler. This new French vehicle is the first heavy autoloader to join the game and features a 100mm 5 shot auto-loader with the potential to deliver 1,500 damage, which is enough to destroy equal or lower tier enemies in a single clip! Well armored, this tank in the hands of a good player will wreak havoc on the battlefield. Check it out and compare it in detail in the Tank Profiler. The first tier 6 Tiger I tank to hit the game; the Citadel Tiger I boasts many of the capabilities of its tier 7 big brother including a fast reload rate, good damage and DPM, and 30% bonus. Part of the Dark Horse Comics range, check it out and compare it in detail in the Tank Profiler. Throughout the month of August, you can fight for prizes in the German Dream Machines event, an epic opportunity to grab 10 different tiers of prizes that you can work towards in any order of preference. If you want to set your sights on a humble selection of XP Boost Ops, that's your decision. If you want to dream a little bigger and go for the hard and heavy King Tiger. There's everything from Premium tanks to XP Boost Ops, Premium time, and Silver to be earned! A new Dark Horse Comics hero tank has hit the game ... The Russian Tier 7 Slayer SU-152 tank destroyer. This tank packs a mean 152mm gun capable of dishing out 700 damage with a standard AP shell, and comes complete with custom tank paint boosting its camouflage factor. Check it out and compare it in detail in the Tank Profiler. Two new 4th July premium tanks hit the game ... The American Tier VII Minuteman T29 Heavy Tank and the French Tier VIII Égalité AMX M4 mle. 49 Heavy Tank. Also added are the Swedish Strv 81, USSR STG, USA Chrysler K, and German VK 65.01 (H). Check them out and compare them in detail in the Tank Profiler. After a long wait the new Mercenaries have finally been introduced to World of Tanks exclusive for Consoles. Featuring 10 new Mercenary tanks that are not aligned to any nation and put together from parts of different tanks, players will need to successfully complete contracts to earn them. To get a taste for the new Mercenary tanks there is a new War Story called "Heist" that allows the player to experience first hand what it is like to drive one of these new tanks. Eight new Mercenary maps have also been introduced. As part of Update 4.5 there were 4 maps re-introduced into rotation, and a new USSR premium tank destroyer the Bizon T-103. Check it out all the new tanks and compare them in detail in the Tank Profiler. A new hero has arrived .. the premium German tank destroyer Fortress Ferdinand! Commanded by Johannes Bakken this new premium tank includes the Pain Tolerance skill, and while the gun is only 10.5cm the extra 300 hitpoints and better camouflage will ensure greater survivability on the battlefield. Check it out along with other Dark Horse Hero tanks and compare them in detail in the Tank Profiler before you buy. Lay waste to to your enemies with the latest M46 Patton variant; the USA Deathstalker. This tier 8 premium tank provides a healthy silver bonus and unique camouflage pattenn, and sports a 90mm cannon with a decent rate of fire. Check it out along with the other Patton tank and compare them in detail in the Tank Profiler before you buy. Rounding out the end of April is two new premium tanks; the Japanese medium tank The Warlord Panther, and the Swedish light tank Toldi III. The Warload Panther or just 'Warlord' for short boasts a custom paint job and similar characteristics to the Champion Panther except cheaper. Check out both these tanks out and compare them in detail in the Tank Profiler page. Update 4.4 is here and with it a list of new features including a new map variant for Prokhorovka Winter, crew portraits, improved battle tiers by game type, new War Stories "Spoils of War", and a revamp of the Base Capture. Also joining the Russian ranks is the new premium Scourge Kirovets-1 heavy tank which was a prototype of the IS-3. This new tank is a good combination of IS-3 and IS-3 Auto with much improved frontal armor making this tank ripe for front line brawling. Check the tank out and compare it in the Tank Profiler. A new premium tank has arrived - the USA heavy tank Chrysler K! This tank sports a 105mm gun with thick frontal armor and a rounded heavily armored turret. Angled, this tank is going to be tough to penetrate. Take into consideration the 50% XP bonus makes this tank worth considering be added to your collection. Check the tank out and compare it in the Tank Profiler. World of Tanks have released the new line of tank destroyers for China including the Yazi premium tank destroyer. If you like the USSR tank destroyers then you will enjoy the Chinese line as these tanks are based on the Russian design. Check them all out and compare them in the Tank Profiler. We have also launched the new experience (XP) calculator for both Tank XP and Crew XP allowing players to plan ahead on the usage of bonuses and operations. Players can select up to 6 different operations along with Premium and Daily bonuses. Check out the XP Calculator for multiplayer games. Tankbowl Winner is USSR who have now scored themselves the new Champion M4 Sherman. Players can still purchase this tank if they were unsuccessful through the competition. A number of new tanks also joined the game; Chinese medium tank King Dragon Type 59, USSR heavy tank Object 252U, USSR medium tank HMH T-34-85M, USA heavy tank T26E5, and USA medium tank Howitzer Motor Carriage M8. Check them all out and compare them in the Tank Profiler. Coming soon are the Chinese tank destroyer line! Berlin map has also been added. Visit all the maps at the maps page. Tankbowl 2018 has kicked off with heavy weights USA vs. USSR, and with this years winner taking home a new Champion M4 Sherman. Joining the Tankbowl for 2018 are 4 new premium tanks; the USA heavy tank Patriot T26E5, USSR heavy tanks the Object 252U Defender and KV-4 by Kreslavskiy, and the USSR medium tank the T-44-100. All tanks offer a great bonus on Silver. 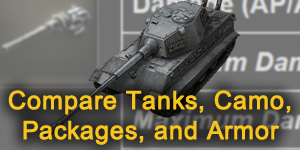 Support your side for tankbowl with these new premium tanks or hop into one of your existing USA or USSR tier 3 or above tanks and battle it out. Check them all out and compare them in the Tank Profiler. To kick off the new year a couple of new premium tanks have joined WOT Consoles; the German Heavy Tank Adler VK 45.03, and the French Heavy Tank AMX M4 mle. 49. Both tanks provide a great silver bonus of 50% and 60% respectively making them great money earners. Both tanks also sport heavy caliber guns for their tier ensuring players can cause maximum damage to the enemy and rack up the experience and silver. Check them all out and compare them in the Tank Profiler. As part of Patch 4.2 a heap of new light tanks were introduced to the game to round out the tiers in this class including tier 10 tanks. Quite a number of existing light tanks were rebuffed as well with some moving up a tier. Two new USSR premium tanks also joined the game as part of Tanksmas ... The medium Volk T-44-100 and heavy Verzila KV-4 K. Both provide a 50% silver bonus making them great money makers. Check them all out and compare them in the Tank Profiler. Two new premium tanks join the game, and both are royalty. The King Tigers (Tiger II), one for USA which is captured sports the 88mm gun, and one for the Germans with the 105mm gun. Each King Tiger offers improvements in tank capabilities with the German King Tiger adding extra health and acceleration, and the USA King Tiger offering better gun capabilities including penetration. Both tanks also offer a great silver bonus along with a XP bonus. Check them all out in the Tank Profiler. 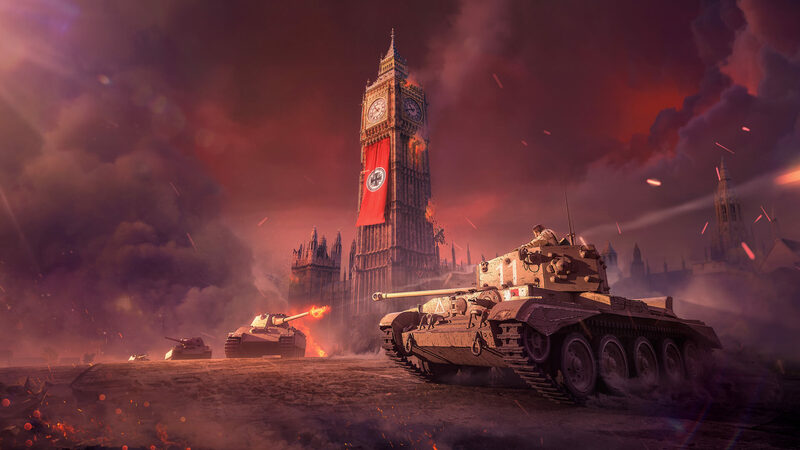 Wargaming have been very busy and have released a heap of tanks to the game just after rolling out new Monster tanks for Halloween. Joining the line up are 2 new French Hero tanks; the light and quick HMH AMX 13 57 with it L/100 8 round autoloader, and the HMH AMX M4 mle. 49 heavy tank. Both tanks have very good Silver bonuses. The full line of Swedish tanks was also released with light, medium, and heavy tank mixed lines along with a separate tank destroyer line with the higher tiers providing the Siege mode capability. The new tank destroyer line is proving very popular with players. Check them all out in the Tank Profiler. Additional maps Icebound, Ravaged Capital, Raseiniai, and Grimm Graveyard have also been added. Visit all the maps at the maps page. They are finally here! After a lot of speculation Sweden has joined World of Tanks with 2 new premiums; the Strv M42-57 with its 4 shot autoloader, and the rather odd looking Stark Strv S1 that introduces the first ever Siege Mode to the game. Further Swedish tanks are bound to join the game sometime in the near future. Also to join the game are the predecessors to the the Maus German heavy tank which include the tier 8 VK 100.01 (P) and tier 9 Mäuschen, and like the Maus are big, slow, but heavily armed and heavily armored. The German tier 10 Pz.Kpfw. VII rounds out the new tank additions. With Halloween not too far away 2 new monster tanks have also arrived; the German Höllenhund and Chinese Dragon Type 62. Check them all out in the Tank Profiler. Three new premium tanks join the ranks of World of Tanks; the Japanese Senshi STA-2, Japanese Heavy Tank No. VI, and the USA T25 Pilot Number 1. All 3 tanks pack a punch for their tiers but its the new mediums that are offering a 50% silver bonus making them very profitable tanks. Edelweiss and The Nameless along with the Grizzly are all back in the store as well. Check them all out in the Tank Profiler. WOT have released the Fighting Girlfriend T-34. Based on a real person "Mariya Oktyabrskaya" who commanded her own T-34 that she named "Fighting Girlfriend". The tank has similar characteristics to the a normal T-34 with the exception of 40% plus bonus on Silver and XP. Also available for viewing are is Honor T28E with F30, Glory IS-5, Fatherland, Motherland, and Bogatyr KV-220-2 premium tanks. Check them out in the Tank Profiler. As part of the 'Release the Beasts' August overview, 3 new beasts of war have joined World of Tanks ... The Rheinmetall Skorpion, M46 Patton KR, and Panzer 58 Mutz. These tanks will earn you extra Beasts of Prey points to spend on silver and bonus ops, and each tank provides a 50% or better silver bonus. Also uploaded is the UK Cromwell B and French M4A1 Revalorisé. Check them out now and compare then using the Tank Profiler. To celebrate the release of the new WWII movie "Dunkirk" Wargaming have unleashed the "Heroes of Dunkirk" British tanks, "Defiance" Matilda (Tier 5 Medium Tank) and "Vindicator" Charioteer (Tier 8 Tank Destroyer). 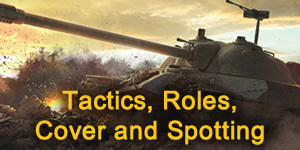 These tanks pack a serious punch for their tier and both provide a good silver bonus. Check out the tanks in detail using the Tank Profiler. Caen has also been added to the maps page. As part of the Defiance - Independence - Dunkirk month a new premium tank has joined the game from British Canada; the Frostbite Grizzly M4 complete with a special Canadian flag emblem. Check out the tank in detail using the Tank Profiler. On the 14th July 2017 two new premiums will be added; the "Defiance" Matilda (Tier 5 Medium Tank) and "Vindicator" Charioteer (Tier 8 Tank Destroyer). Based upon the SEGA Valkyria Chronicles two new premium Japanese tanks join the game; they are the tier 8 Edelweiss medium tank, and the tier 8 The Nameless heavy tank. Both tanks come with custom crews including custom crew voices. These tanks are well armored for their tiers and both pack good guns comparable to other tier 8 guns. They also come with permanent all terrain camouflage. Be sure to check out both these tanks in detail using the Tank Profiler. As part of Patch 3.8 "Battlefield Bonanza" we welcome the USSR Crimson Knights to the game ... The Honor T-28E medium tank, the Glory IS-5 heavy tank, and the Bogatyr KV-220-2 heavy tank. Joining them is the Fatherland heavy tank and Motherland medium tank. All these tanks are available for purchase in the game and available until the end of June. Compare them now with the Tank Profiler. Also included in Update 3.8 is a few map modifications. Ardennes now has a summer variant with Redshire and Northwest both receiving updates. Visit all the maps at the maps page. 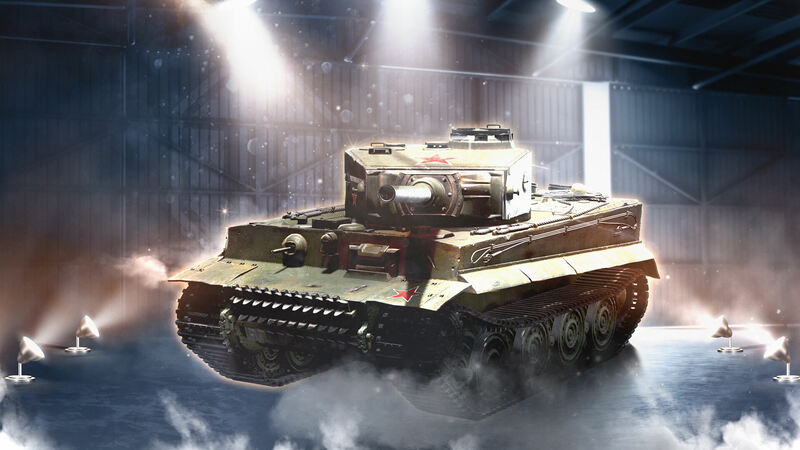 The UK has received a new premium medium tank, the Huntsman Centurion! This tank has universal camouflage so every map you play will have a 3% camouflage bonus. With a 55% silver bonus the Huntsman Centurion is a great money maker. Compare it now with the Tank Profiler. Also added to the maps is Kasserine. Based on a real location this desert map is large and suitable for all tank classes. Check it out at the maps page. The Vengeance T25 tier 8 premium tank has joined the ranks of the USA. This tank is one of the few premium tanks available to offer all three bonus - Silver, XP, and Crew, and at 50% bonus crew XP makes for an excellent crew trainer. With a decent top speed and 90mm gun the Vengeance T25 makes for a great flanker and support tank. Compare it now with the Tank Profiler. Also introduced is new Windstorm map and Liberty Falls map both of which are available for viewing in the maps section. A number of new tanks have joined the game and now available in the Tank Profiler for players to compare. 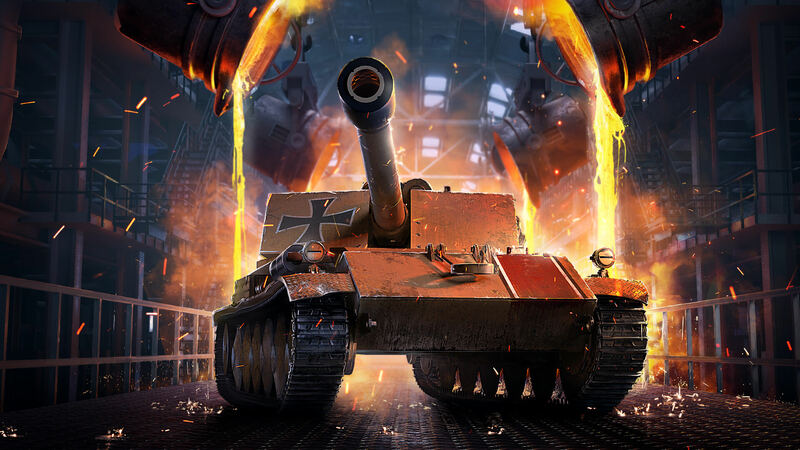 They include the 3 new Heavy Metal Heroes; ISU-130, M51 Super Sherman, and FV305, as well as the new Bat Chat Tier 9, premium Bogatyr KV-220-2, and Vanquisher Sentinel AC I. Players looking into the new bundles available in the store may want to compare the tanks first. Also added is the new special map "Mars". New to World of Tanks? How do I angle my armor? What role is best for my class of tank? What are the multiplayer game types? Where should I target tanks?